A new Ukrainian coastal anti-ship missile system capable of precise engagement of coastal and surface targets was tested today according to Oleksandr Turchinov, the Secretary of the National Security and Defense Council of Ukraine. Mr. Turchinov stated that the new missile is a completely Ukrainian design developed by the «Luch» State Design Office in cooperation with other state and private defense industry enterprises. 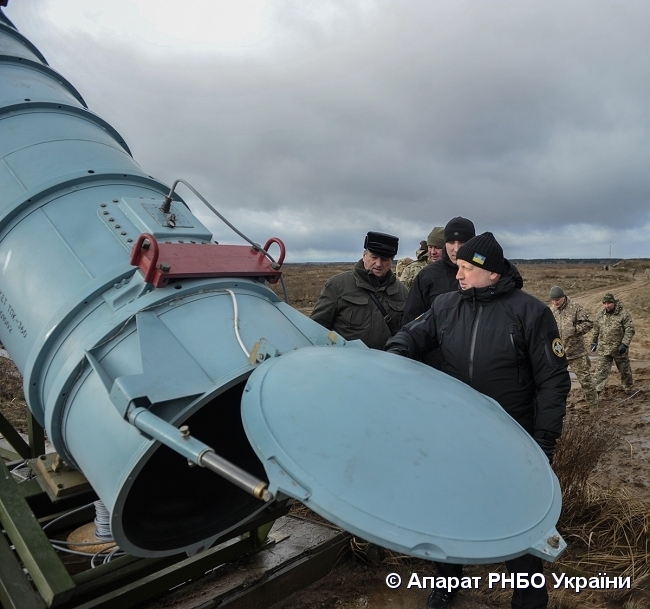 «The successful test launch was intended to check the missile’s flight performance and system’s operation», – said Mr. Turchinov. 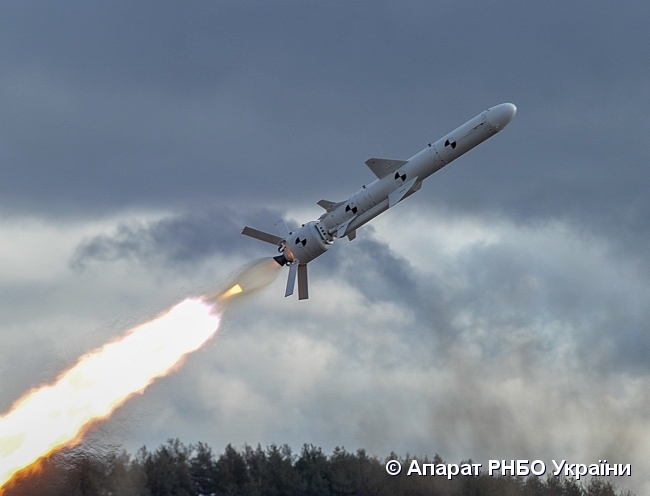 The National Security and Defense Council of Ukraine coordinating the National missile program has ordered missile variants for various launch platforms, including ships and aircraft. «The new missile’s maximum flight range and warhead weight are in line with international agreements signed by Ukraine for this kind of weapons», – added Mr. Turchinov. «This is a big day for Ukraine since it lost all of its anti-ship missiles after a total disarmament of Ukrainian Armed Forces according to the Budapest Memorandum», – said Mr. Turchinov. The Secretary also stressed that the new missile system will be a credible deterrence factor for the aggressor.